Most Holy Redeemer Catholic School prepares all students, spiritually, academically, and socially to succeed in life, to do God’s will, and be active members of the church. We create a learning environment which is centered on students, guided by teachers, and supported by families. 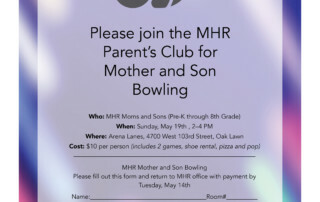 Please join the MHR Parents Club for Mother and Son Bowling. 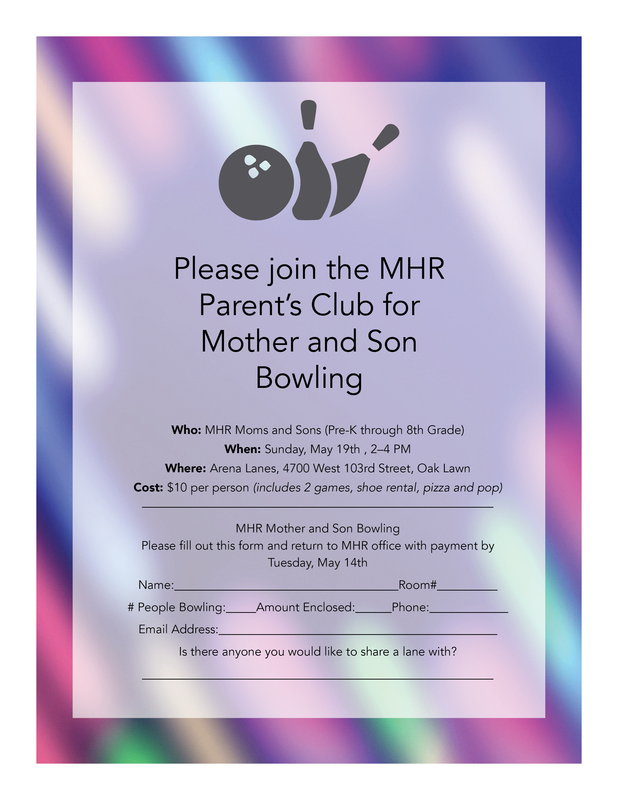 Please see the attached image and return to school to reserve your space! Please join the Parent Education Committee in their kickoff event as they welcome Erin Muldoon Stetson from the Center for Self-Actualization in Evergreen Park. This event, free to our families and the community will be held on April 25 in Briody Hall from 7–8:00 p.m.
We have so many stars to showcase at our school, please help us to spread the word! We want to share our students’ outstanding academic achievements, faith experiences, community service projects, athletic victories, artistic performances, and much more. Throughout the year please send news, photographs, video clips, etc. to our social media pages, publications@mhrschool.com, or click the “Submit Your News” button above. MHR has set up a new Amazon Smile account! When you #StartWithaSmile, Amazon donates 0.5% of the purchase price to Most Holy Redeemer Parish. Click the link and support us every time you shop.